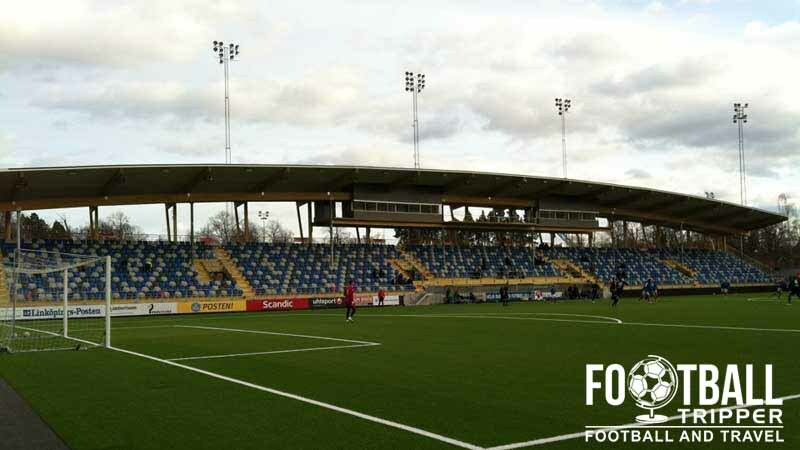 Kopparvallen is a purpose built football stadium used predominantly for the home fixtures of Allsvenskan team Åtvidabergs Fotbollförening. Located within the Åtvidaberg Municipality, the town with a population of 7000 holds the distinction of being the smallest in Sweden to receive the Swedish League title after the club won two titles in the 1970s. History section of Kopparvallen to be added in due course. Kopparvallen is comprised of four stands: North, East, South and West. 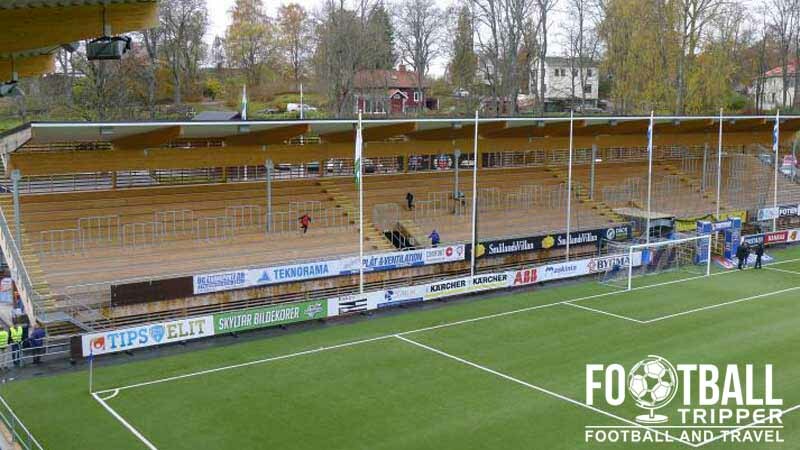 Away fans (Bortasupportrar) are housed within section L of the Östra Läktaren which is located behind the easternmost goal-end. Official merchandise of Åtvidabergs FF can be purchased from the club’s office Monday to Friday during the week between 9.00 am – 12.00 pm, and then from 1.00 pm to 5.00 pm. You can also pick-up souvenirs during at the stadium on matchdays. We really doubt there are any publicly available tours of the old facilities at Kopparvallen however we’d be more than please to be proven wrong. 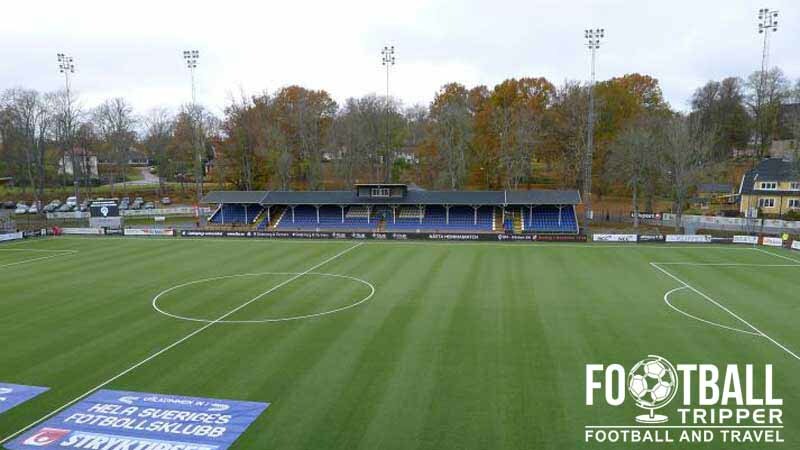 Tickets to see Åtvidabergs FF can either be purchased online from the official website, from the office during the week or on at Kopparvallen’s ticket booths on matchdays just before kick-off (20 kr surcharge to cover staffing costs). Please note that the above price range reflects the four categories of tickets which change depending on who the opposition is. 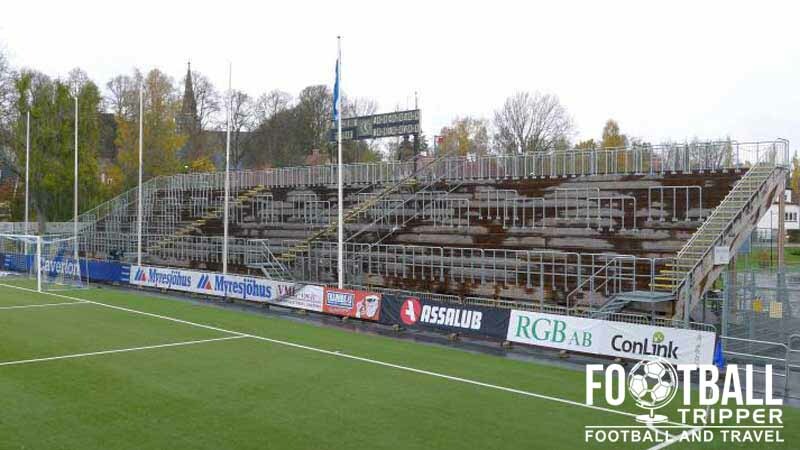 e.g Standing prices start at 120 kr for Category A an then increase to 160 kr for the highest profile matches. Kopparvallen is located approximately 1.2 km south of Åtvidaberg city centre in a fairly pleasant location which almost overlooks Lake Bysjön. Walking from the city centre will likely take most Football Trippers no more than 15 minutes. There appears to be a decent amount of parking available on-site at the stadium courtesy of the large car park just south of the ground. Åtvidaberg station is centrally located 1.6 km from the football ground, and is served by a number of regional train services to the likes of Västervik and Linköping. The main turnstile entrance to Åtvidaberg FF’s home ground. The closest major airport with international flights appears to be 45 km away in Kungsangen Airport, although the smaller Linkoping Airport 30 km away is technically closer. The only place to stay within the municipality of Atvidaberg appears to be “Trädgårdshotellet” which is situated within the golf course 5 minutes west of Kopparvallen Stadion.